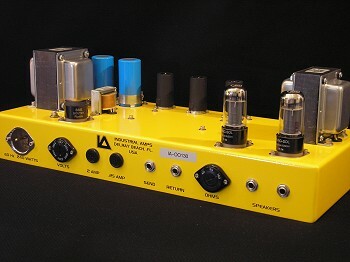 Overdrive 15 Head : Amplifiers : Heads : Industrial Amps Inc.
Overdrive 15 Head  Industrial Amps Inc.
15 Watt, Single Channel Amp Head. 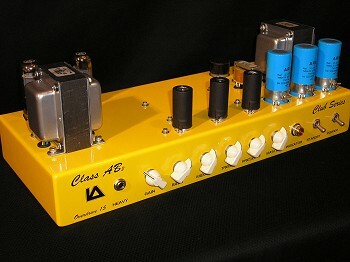 Point to Point Hand Wired Tube Head. Voiced for subtle overdrive to heavy distortion. Great for studio and low volume venues. Did you purchase the Overdrive 15 Head? Feel free to submit a review. Reviews will be posted pending submission review and approval. Site By Hampton Development © 2005 - 2019 Industrial Amps Inc. All Rights Reserved.